LTC AD HOC COMMITTEE MEETING. 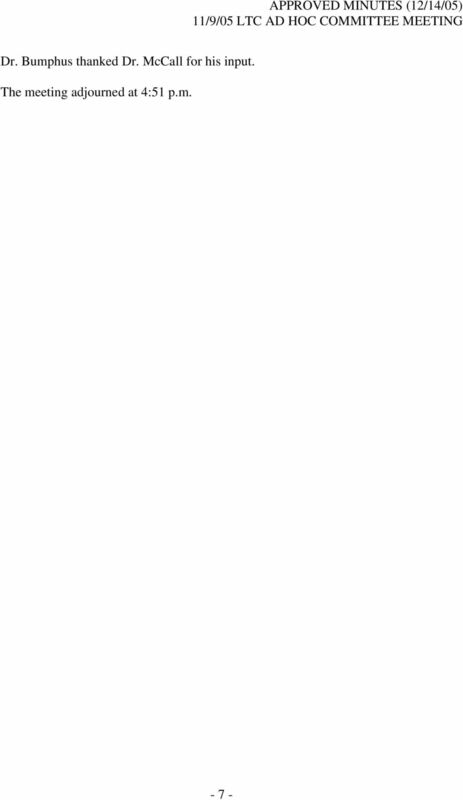 Wednesday, November 9, :00 p.m.
Download "LTC AD HOC COMMITTEE MEETING. 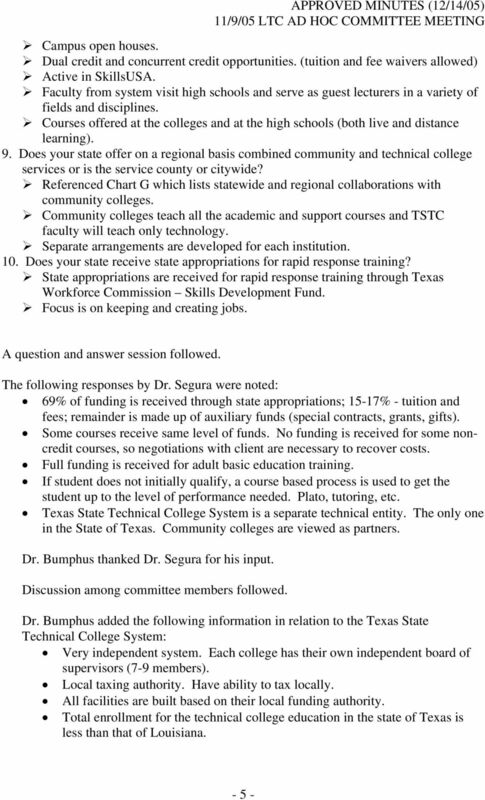 Wednesday, November 9, 2005 2:00 p.m."
Continuing Education (CE)/Workforce Training Frequently Asked Questions (FAQ) (Updated January 2012) 1. 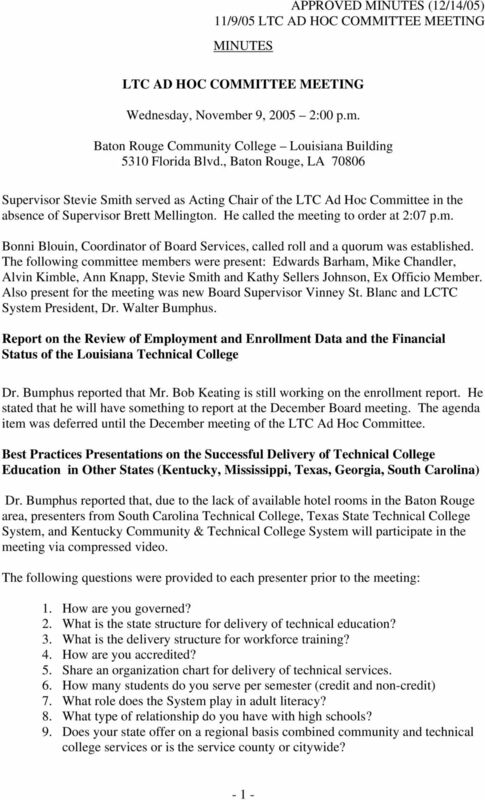 Q: Who is the contact person for CE at the Coordinating Board and at the State Auditor s Office? ST. JOHNS RIVER STATE COLLEGE DISTRICT BOARD OF TRUSTEES Palatka, Florida January 16, 2013 MEMBERS PRESENT: Mr. John Nelson, Jr., Putnam County, Vice-Chairman Ms. Denise M. Bramlitt, Putnam County Mr.
Do not deleteany slides or notes from this presentation. You may supplementwith additional materials that are relevant to your audience. 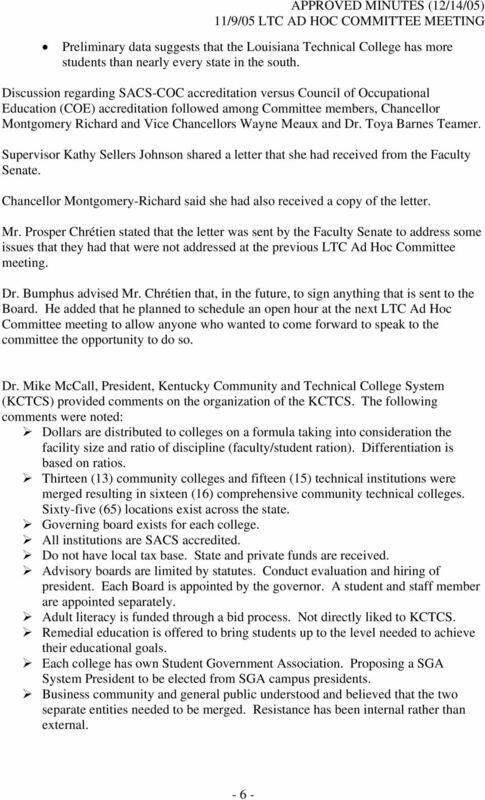 The Academic Senate met on October 31 and November 1 st.